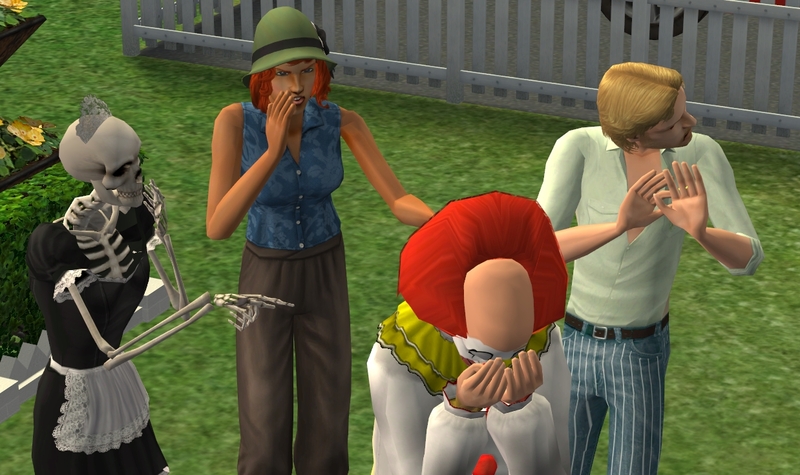 Mod The Sims - Tragic clown for the sims 2! 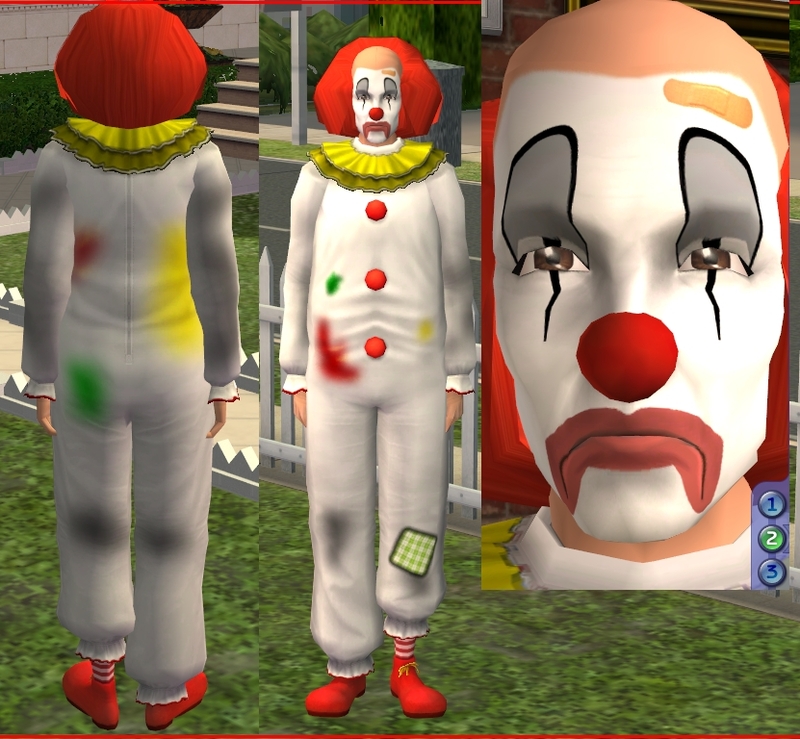 I was surprised to see no one bothered to re-create Sunny the clown for the sims 2 so I thought I'd give it a try. He came out to be quite decent I'd say! However, I didn't do so hot with making the filth on his clothing... So I chose to include a clean version of his outfit without the lesser-than-kindergarten quality splotches & stains. It'll be great for story telling and adding your own, most likely a million times better quality filth. 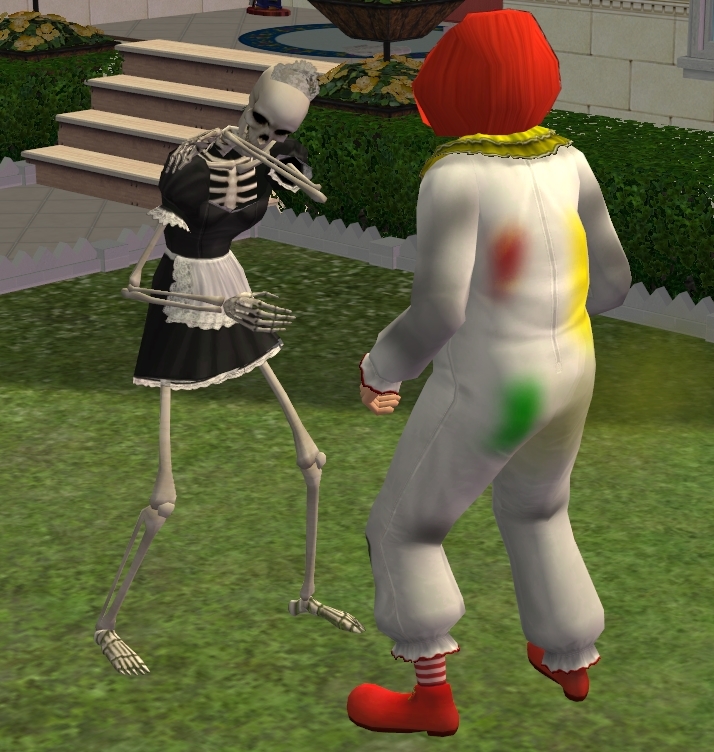 I also forgot he wore gloves originally but the ts4 version didn't, so I chose to leave it that way. For his face paint I simply used the light shade maxis skin tone, made it white and drew on what was needed using references. 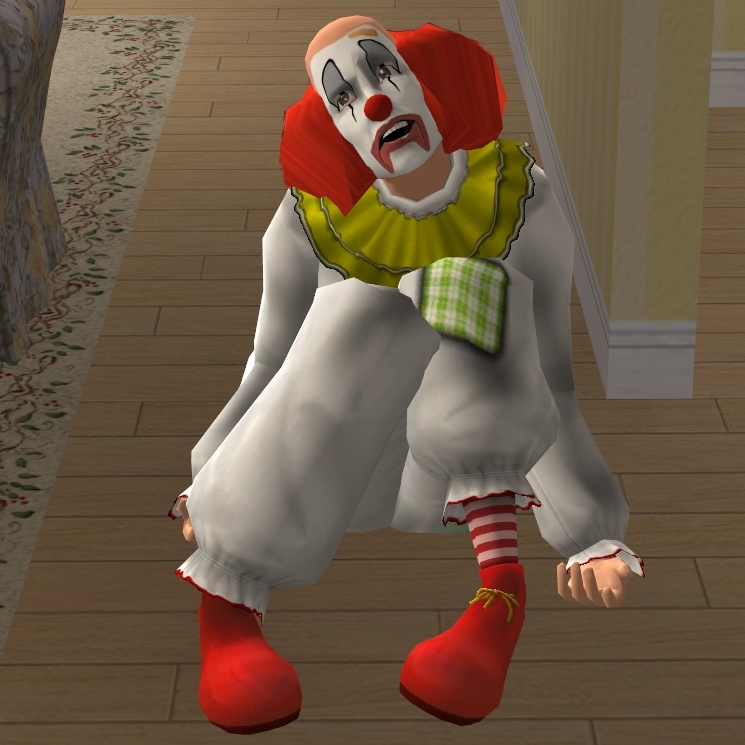 His hair is a simple recolor and I used funnyycats hair mesh for it. Not the best choice but for me it was the only. 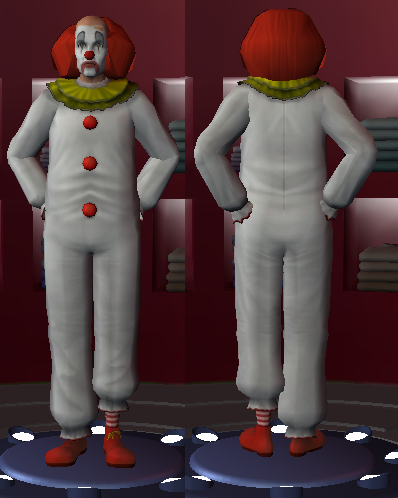 His nose is another simple recolor using the same texture as the buttons on his costume and it uses a dedital sheep mesh that you can find under the accessories section on the site. The face is altered more than it appears to be. 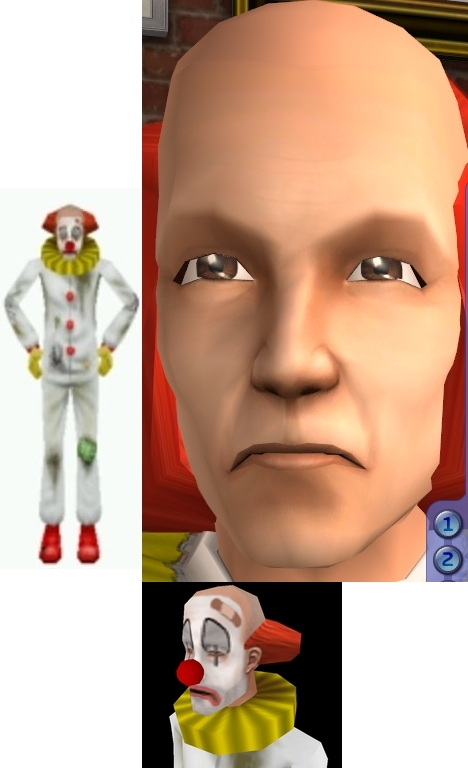 I used his head from ts1 as a reference and tried to make something similar or atleast what I thought he'd look like in ts2. 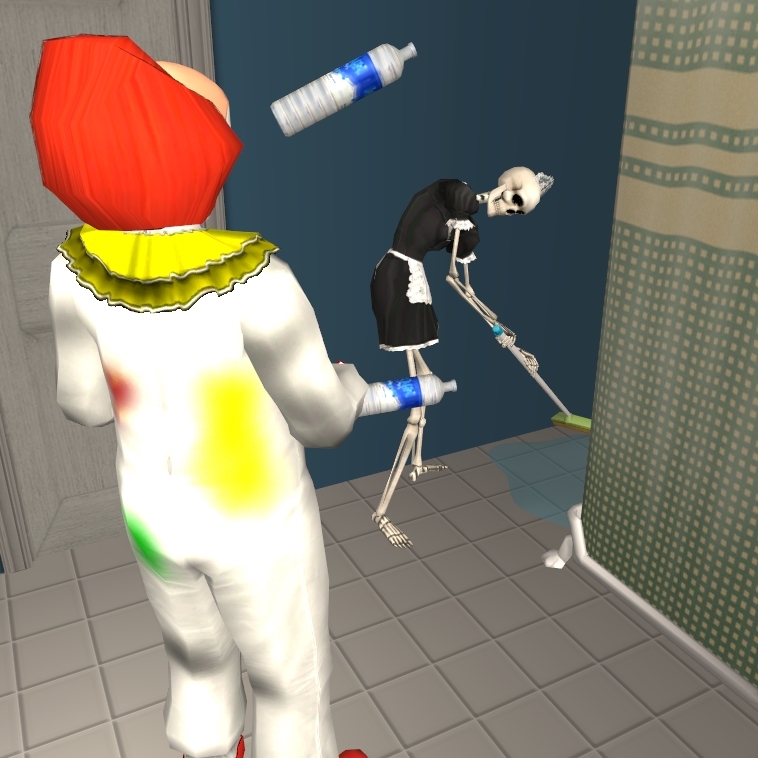 In order for him to work properly you'll want to make sure you have the sims 2 Free Time and the following linked meshes. Now here are some random pics I took just for the fun of it. 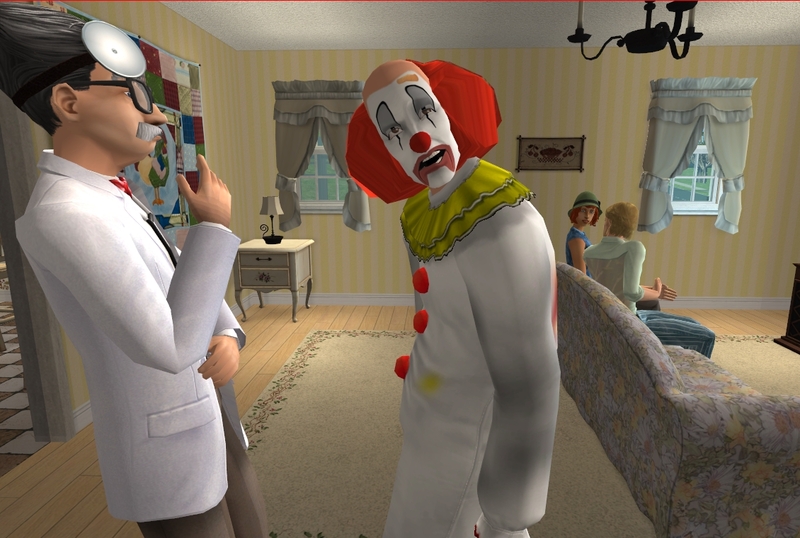 Hope this is a worthy attempt at Sunny for TS2!